I love the use of the Unfolds in these posts from French site Planete Deco, particularly the cheerful pop of colour provided by the yellow pair. The next pictures are from a story on The Design Files about the Melbourne home of Dan Honey and Paul Fuog. Although I personally like the look of Muuto pendants clustered in twos or threes (or more), this single Unfold hanging above the casual dining area works perfectly over their small round table. This final Unfold shot comes from a shoot styled to promote a lounge from Room 21. I love the grey on grey in this photo and although I think the single pendant again looks great here, it may not be the most family friendly solution! This beautiful cluster of white E27 Pendants is a product shot from Muuto themselves. Although I would love to bring the drama of twelve E27s to my dining space, the budget sadly doesn't allow for it. A more affordable solution is this single yellow E27 bulb. I love the way it picks up the yellow in the Jaffa picture. These pictures come from a post on the Finnish blog Uusi muste. 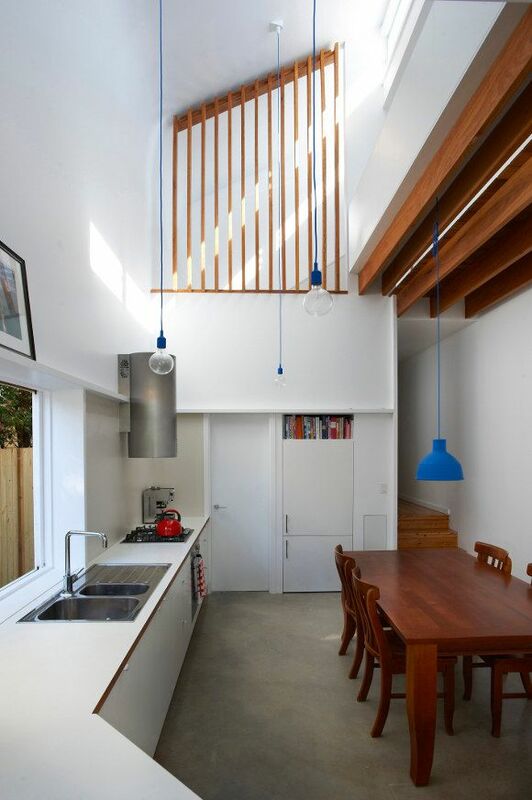 This next home, featured recently in Houses magazine and designed by David Boyle Architects, makes dramatic use of both the Unfold and the E27 in a vibrant blue that works really well against the otherwise neutral palette. Being a beach house on Sydney's Northern Beaches the blue is a great reference to the lifestyle of the family who live here. As this family also happen to be some of my closest friends I'm hoping to be bring you an in depth look in to their amazing home in a upcoming post - so stay tuned for that! 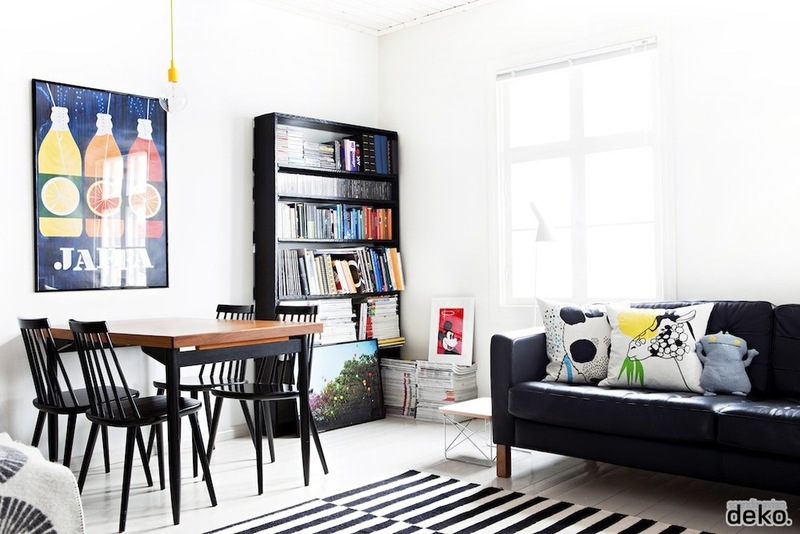 The next picture is from the home of one of my favourite bloggers, Michelle from The Design Chaser. Here she has combined the Muuto Unfold with diamond shaped pendants that she found online. Read more about it on her blog. Finally, Muuto themselves have combined the Unfold and E27 in their product shot below.